Put all of the ingredients into a medium pot. Cook over medium-low heat until the plantain is cooked thoroughly; stir occasionally so it doesn’t stick to the bottom. Remove from the heat and transfer to a blender or a food processor, blend the mixture. If you use a blender, split the mixture into two batches. You can use 2 cubes of chicken bouillon in 6-8 cups of water instead of chicken broth. You can omit the ripe plantain and use only the green plantain. 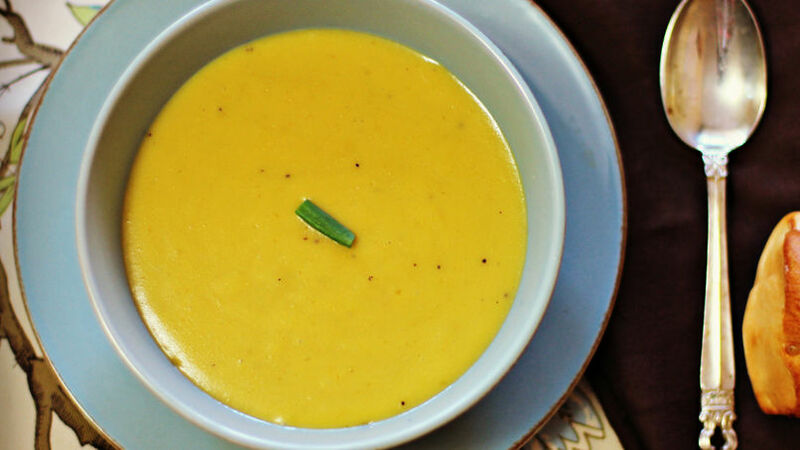 Cream of plantain is the perfect recipe to endure the cold winter temperatures. There’s nothing better than preparing a nice soup to warm our bodies. The best part of this recipe is that you can vary it by combining other ingredients you like. This time, I combined green and ripe plantains with a bit of ground ginger and the result was incredibly delicious.